FM broadcasting is changing. The landscape includes a mix of commercial, educational and community broadcasters like never before. Analog and digital formats as well as integrating internet is now as important as ever. 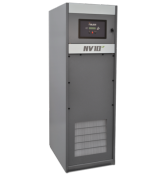 Any transmitter put in service has to be able to grow with the changes. 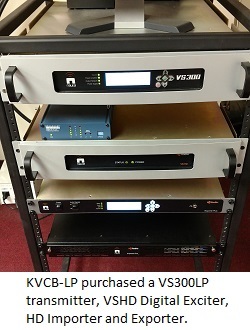 This is the story of KVCB-LP, Vacaville, California, USA, the first low power FM high school HD Radio station. It’s not easy to obtain the privilege to broadcast. The last radio station license granted in our community was KVFS (now KUIC) way back in 1969. Even today, waiting seems to be part of the process. For me, a high school teacher, it was a wait that ultimately lasted well over a decade. I began the process of applying for an FM station for our school in the fall of 1999. On September 8th, 2014, the FCC granted our “license to cover” as KVCB-LP. With this huge wait, I had plenty of time to develop a plan. This includes choosing the right transmitter. I talked to a lot of engineers about the best transmitter for our needs. Every broadcast engineer I met had one choice in common. They all recommended Nautel without hesitation. Over and over again it was Nautel for LPFM. Our decision was easy. 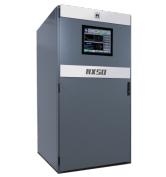 When Nautel had their VS300 certified for LPFM, there was no other serious choice for us. Not just because of Nautel’s great reputation for quality products and customer service, but because Nautel is clearly poised to meet the technical changes even before they become mainstream. In our case, they were definitely put to the test. When the FCC first implemented hybrid digital HD Radio it wasn’t practical for LPFM. At only 1% of the analog power allowed, it meant our 100-watt station could only use one tiny watt for the digital signal. That’s certainly not enough power to make it practical. Later, with the increased power allowance, it became possible with the right equipment. 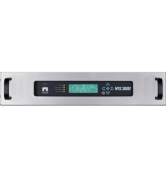 I am so glad we chose Nautel, because their VS300LP transmitter was the closest to meeting our goal to be a full HD Radio Station. HD1 (the main channel) has the best coverage because it’s synchronized perfectly with our standard analog FM signal so the listeners’ radios seamlessly mix between the best signals. This makes our coverage even more robust than the standard FM alone. In fact, sometimes the HD signal works in areas where the analog signal tends to struggle! HD2 has about the same coverage as HD1, but it doesn’t have the benefit of the analog “mix” so it can be a bit more unstable at the edge of our service area. We use HD2 for students to broadcast their own produced, composed and performed music. It’s a popular channel with the students and listeners. HD3 uses a special “extended hybrid” that’s not as robust as the other two. It works best closer to campus — perfect for our school announcements on our School Connect show. Other benefits are the increased interest and support in our community; the additional broadcasting options for our students and listeners; and the increased credibility that comes when HD Radio is connected to an operation. Overall, the experience has been great. The challenges were expected and very manageable. The benefits are many. The quality of Nautel products is impressive. The product support is appreciated. Would we recommend HD Radio to other LPFM stations? With Nautel, absolutely!